The Ambani brothers, Mukesh and Anil, came together on Thursday to raise the issue of stalled projects plaguing India Inc and implored the Maharashtra government and the Centre to make Mumbai, India’s financial capital, an easier place for business and investments. “Several projects are stuck for many years in Mumbai and we would like to know how the government intends to improve the financing and execution of projects, including those relating to infrastructure and education which have been in limbo for long and are affecting the growth of the city,” Reliance Industries Ltd (RIL) Chairman Mukesh Ambani told Finance Minister Arun Jaitley. Seated on the same table was his brother, apart from Tata Group Chairman Cyrus Mistry and State Bank of India (SBI) Chairman Arundhati Bhattacharya. Jaitley was addressing the Mumbai Next MMR Transformation conclave, organised by the Maharashtra government and Mumbai First here, through video conference. In his reply, Jaitley said the government was exploring several options of infrastructure financing in India and that a number of international bodies were ready to fund infrastructure development projects. He added the government was keenly considering these funding sources. While praising Maharashtra Chief Minister Devendra Fadnavis for honesty, Jaitley also had a word of advice. Apart from being honest, the government had to be decisive, he said. On his part, Reliance Group Chairman Anil Ambani told the chief minister about his experience of decisions being delayed due to an indecisive bureaucracy and the need to protect officials who wanted to take quick decisions. “Through the past many years, we have faced a number of obstacles in decision-making,” he said, adding he was speaking as someone who had lived and invested in Mumbai. Fadnavis responded by saying he would bring about a transparent process to ring-fence officials. 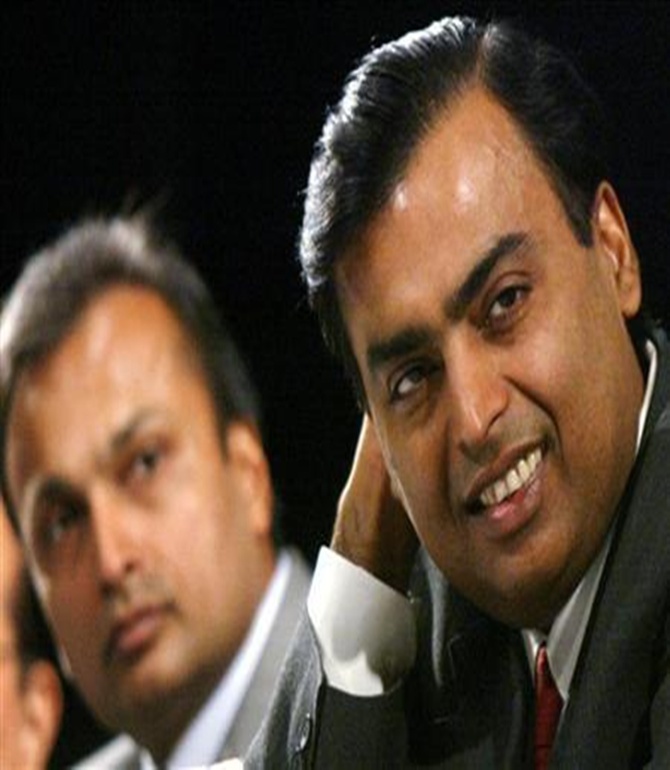 Both the Ambani brothers have announced a number of infrastructure projects in and around Mumbai, including a world-class convention centre in Bandra Kurla Complex by RIL, but very few have actually fructified. RIL’s special economic zone project failed to take off due to land acquisition problems in Raigarh, while a second SEZ near Mumbai is stuck due to lack of clarity in SEZ norms. The first phase of the Mumbai Metro, set up by Anil Ambani’s Reliance Infrastructure, was marred by cost overruns and run-ins with the government over fares. Subsequently, the company withdrew from the second and larger phase, citing inordinate delay. Anil Ambani also withdrew from Mumbai’s sea link project on the same grounds. The brothers had also bid for a trans-harbour sea link between Navi Mumbai and Mumbai under the Congress-Nationalist Congress Party government, but their bid was rejected. Reliance Infrastructure is also the power supplier to more than half of this city. Participating in the conclave, some of India Inc’s leading bankers said making Mumbai a financial hub would take at least a decade. SBI’s Bhattacharya said the Indian currency should be made fully convertible and facilities should be created for it. “However, for this, the economy needs to look up and that will happen only in the next 7-10 years, not immediately,” she added. Sunil Kaushal, Chief Executive Officer of Standard Chartered, India, pitched for strong infrastructure to support development. “We will take a long time to develop into a global financial centre. We need to solve transport bottlenecks in Mumbai and have lifestyle facilities for people working in and around these areas,” he said. In the battle for 4G, who has an edge?